Prof. Dr.-Ing. Paul Uwe Thamsen educated in mechanical engineering at Technical University Carolo-Wilhelmina in Braunschweig specialized on Fluid Flow Machines at well known Pfleiderer Institute. He published 1992 his doctor thesis about the “Operational Behaviour of Downhole Pumps with Inlet Distortions”. Starting in design of submersible pumps and motors at Pleuger Worthington GmbH in Hamburg, he built-up fundamental experience in engineering, marketing and general management in different positions like Manager R&D, Technical Director, Sales Manager and General Manager. The facility is part of international operating company Flowserve© with more than 100 production facilities worldwide and more than 12.000 employees in pump and fluid system industry. He developed several education and training programs for employees and customers on hydraulic and technical issues, including a yearly training for mine dewatering in Australia. Additional activities he spent within the research group of VDMA with special focussing on diagnosis systems as well as a list of development projects with different technical universities. Thus several papers are published during this time. 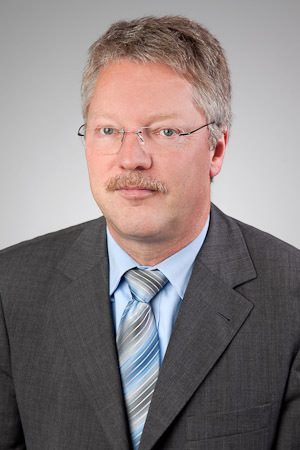 Since November 2003 he is Professor at Technical University Berlin, Chair of Fluiddynamics – Fluidmechanics in Machines and Systems. Research activities focus on complex fluidsystems like water and sewage systems, diagnosis,, cavitation, Particle Image Velocimetry (PIV), Laser Doppler Velocimetry (LDV), cooling systems for motors, fluid flow machines, centrifugal pumps and wind turbines.